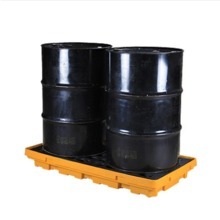 The steel spill pallet can also be used for storing, handling and separating oil drums and chemical drums. It is made of 3mm hotrolled steel plate, stable and durable. 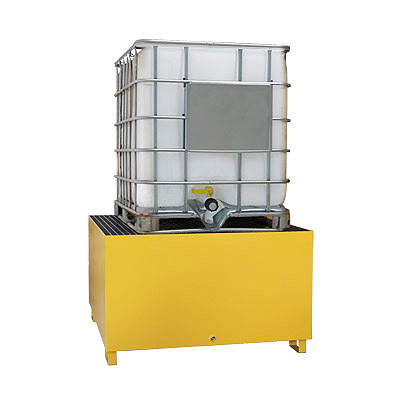 The pallet body is coated with epoxy resin powder, forming a bright, dust-proof, rust-proof and moisture-proof surface. 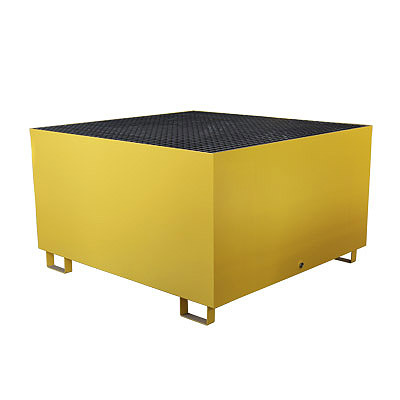 The fiberglass-reinforced grate of light weight, high strength, wear resistance and aging resistance can be removed for easy cleaning. The pallet can meet the handling needs of various forklifts. 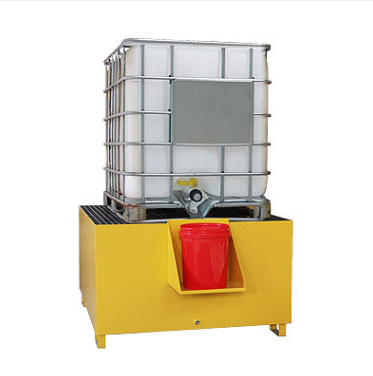 The cart type two-drum pallet, with large sump capacity, is more convenient to operate. 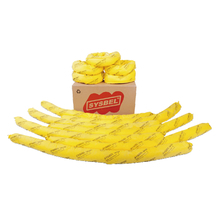 It is designed in accordance with the leakage containing standards, and has passed the 100% leakage containing test. 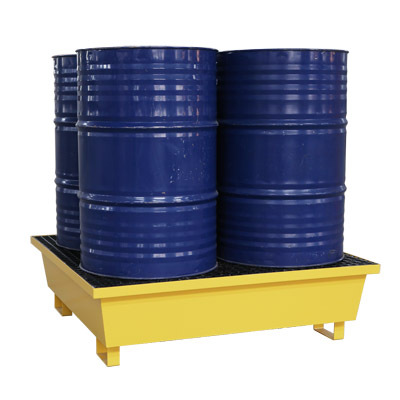 With the drum bracket at the pallet center, the load can be distributed, thus achieving higher performance. The 3/4”NPT (hex) ball valve in standard configuration is installed in the leakage hole in order to transfer the leaking liquid and facilitate the operation. 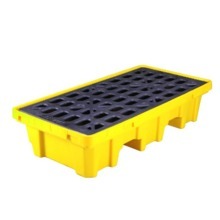 The user is allowed to remove the bottom plug to fully discharge liquid and clean the pallet. 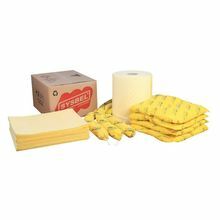 Acquired CE Certification, comply with the regulations of EPA 40 CFR 264.175 of EPA and SPCC as well as U.S. NPDES.